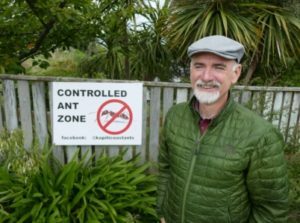 “An ant exclusion zone has now been established in Raumati South” says Michael Freeman of the Raumati South Residents’ Association. And the Kāpiti and Coast Independent says this project has been a remarkable example of community initiative. 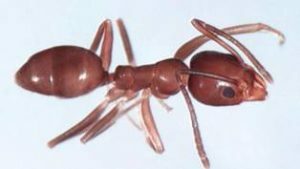 They are one of the most invasive ant species in the world. 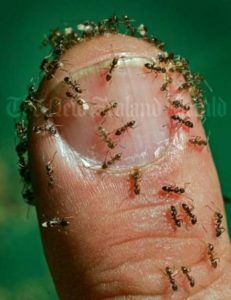 The suburb was under attack from millions of the ants, who had spilled into houses and cars, said Raumati South Residents’ Association chair Trevor Daniell. control zone is within an area bordered by Dell Road, Poplar Avenue, and includes a part of Queen Elizabeth Park in Raumati South. 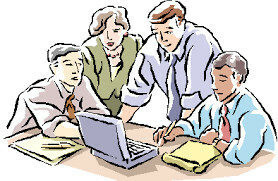 “Within the zone, residents are working together; baiting sections to knock back the huge number of ants that exist. “Our Association has recently carried out a research project and found 89 per cent of those laying bait could claim some success. “A key finding of concern was that people are not coordinating and talking to neighbours; only 3 percent could confirm that their immediate neighbours baited. Neighbour engagement is critical, and one of the main factors whether baiting will be successful or not. “With the cooler weather, ant activity will virtually cease as they hibernate.